As 29 April 2011, GENTING closed at RM11.60 level. 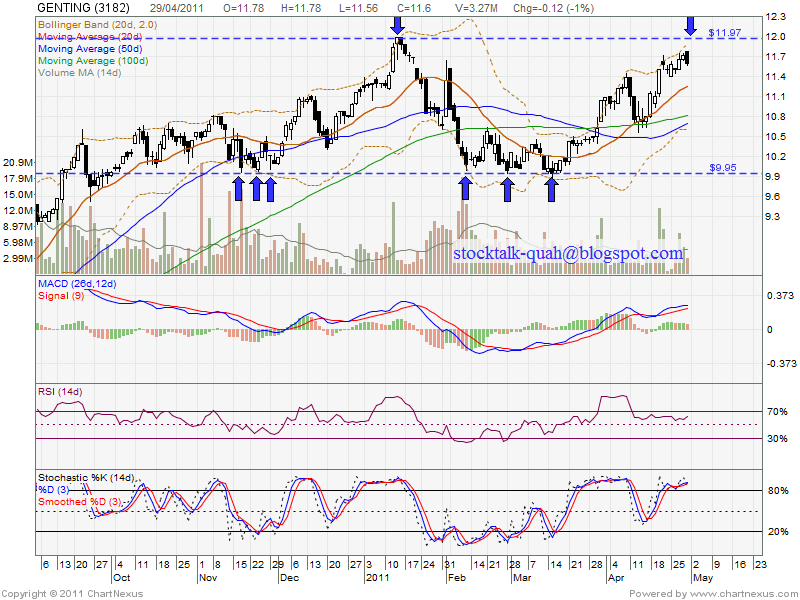 Will it retest RM11.97 level or retrace down? 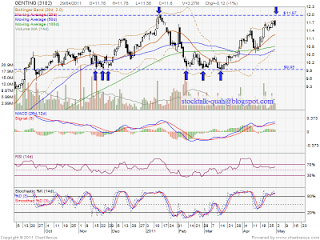 High probability it will retrace down to RM11.25 support level or RM11.12 level. If there is reversal candlestick been form, it might be an opportunity to entry. It will retest RM11.97 level.